The standards committee for a fifth time on October 3rd. This meeting included a change in venue, meeting at the new Bell Museum. The meeting opened with a review of the significant work that the committee has already done. 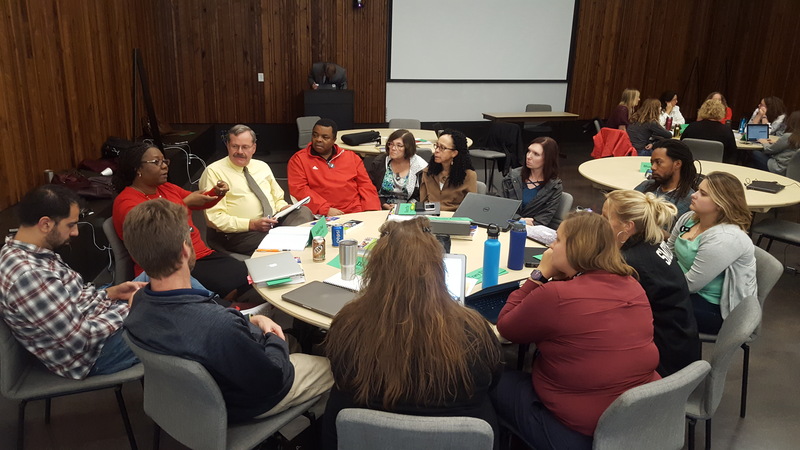 This includes an overview of the standards development process, reviewing current Minnesota standards against other states standards, developing a draft of the required career and college statement, reviewing the NGSS standards, and examining the public feedback on the current standards. The committee then had an extensive discussion on how best to organize standards within the requirements of Minnesota state law. After much discussion the committee chose to prioritize student practice expectations emphasizing what students would know and be able to do. Having already decided to use anchor standards across all of K-12, then worked across grade levels to suggest what performance expectations should be placed broadly at what grade level. Discussion among some committee members included the challenges that many schools face in finding appropriately licensed teachers to teach science classes. The graduation requirement that students take three years of science between 9th and 12th grades was also raised as a factor in both standards writing and student opportunities. MDE staff reminded committee members of several items to keep in mind as the committee works. First, by law the standards must include the contributions of Minnesota’s Native American tribes and communities. Consultation with Native American leaders will be an important aspect of the process as standards are developed. As the committee works the standards they develop must be understandable to the public and must be able to be assessed. Additionally according to Minnesota law standards must be grade level specific. 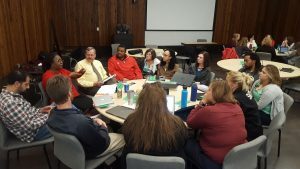 The committee voted heavily to empower the writing group to begin writing standards from the Next Generation Science Standards practices for this first draft. MDE will be hosting a number of public feedback sessions across the state after the initial draft of new standards is released November 9. It is understood that “the first draft is never the last draft”. The committee meets next on Thursday, November 1 at MDE, Conference Center B, room 17-18. The first draft of standards is due to be released November 9.